Rachel Hardie with Prime Warden Michael Prideaux. 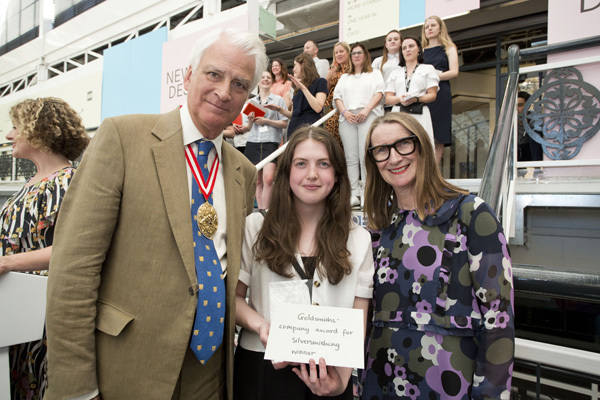 The New Designers Goldsmiths’ Company Awards were announced at the Business Design Centre, Islington on 27 June. The Goldsmiths’ Company is a leading sponsor of New Designers, the UK’s principal showcase of creative and innovative work from design graduates. 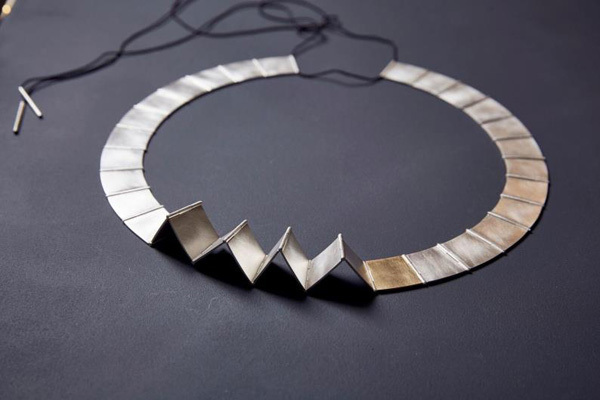 Silversmithing – Rachel Hardie of Glasgow School of Art. 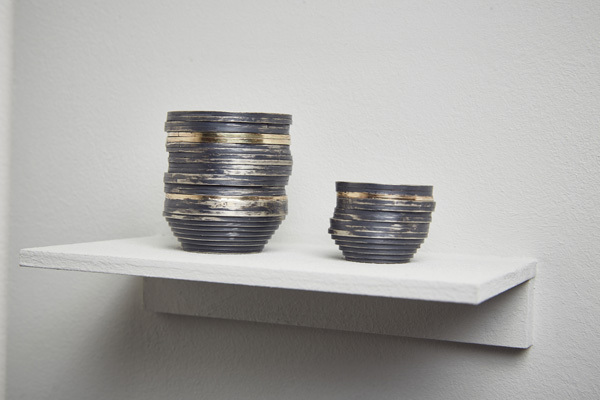 Rachel Hardie won for her unique and colourful Chimney Pot Series, a range of mixed metal vessels characterised by their distinctive shapes and finishes. The judges appreciated the explanatory nature of this series, specifically the construction of Hardie’s forms which include a pleasing ‘sketch-like’ quality and unique approach to creating the vessels. 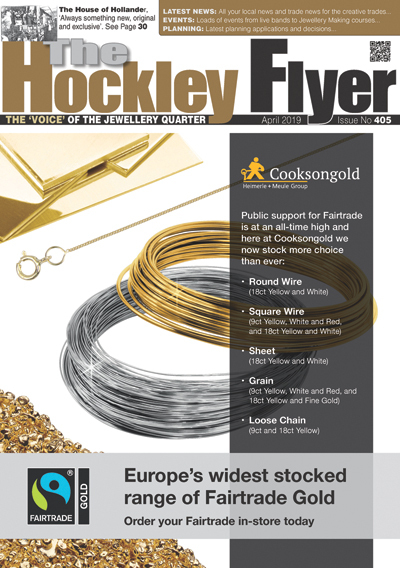 Jewellery – Egle Bantyne of Ulster University. Special Student Hallmarking Package including 10-year registration at the Goldsmiths’ Company Assay Office, laser software set-up for laser hallmarking, a complimentary behind the scenes tour of the Assay Office and free access to the Goldsmiths’ Company Library.